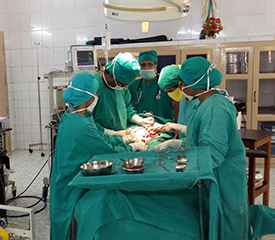 The surgical departments commenced as one of the basic unit right from the beginning of Christu Raj Hospital. 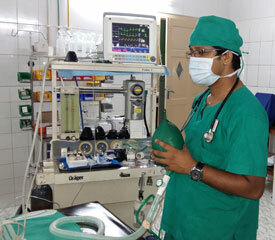 This department is a boon to the poor and needy patients requiring surgical care and procedures at an affordable cost. We have facilities to undertake all the general surgical minor and major procedures both elective and emergency. Two air-conditioned major operation theatres. Air - conditioned surgical intensive care unit with well trained staff. Centralized Oxygene /Nitrous Oxide supply.